Pendant made of 316L steel in shape of a big knife with bevelled edge, shiny and smooth surface. 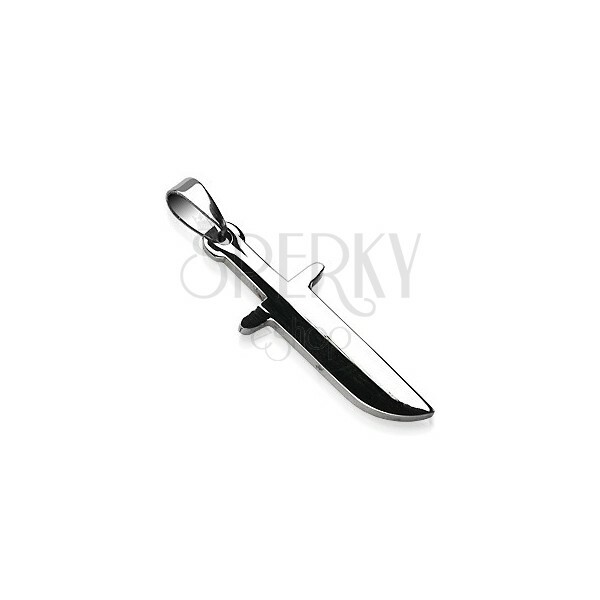 The steel pendant in silver colour is in shape of a big knife with bevelled and one slightly rounded side. The pendant has shiny mirror-like and smooth surface and elongated pendant clasp.